Prepare this delicious VELVEETA® Spicy Chili Dip in just ten minutes! 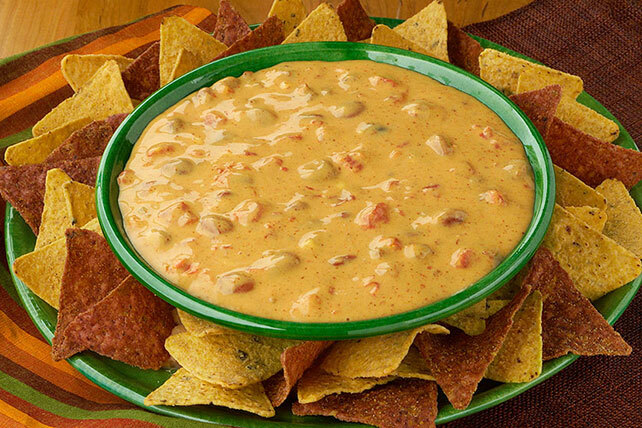 This VELVEETA® Spicy Chili Dip is a surefire winner in the flavor department. Combine ingredients in microwaveable bowl sprayed with cooking spray. Stir until VELVEETA is completely melted and mixture is well blended. Combine ingredients in saucepan on medium heat 5 to 7 min. or until VELVEETA is completely melted and mixture is well blended, stirring frequently. Prepare using canned chili without beans. Serve with tortilla chips and/or assorted cut-up fresh vegetables.